Prostatonin® is the natural solution for men over 40 who actively want to prevent and/or combat early symptoms of Benign Prostatic Hyperplasia (BPH). 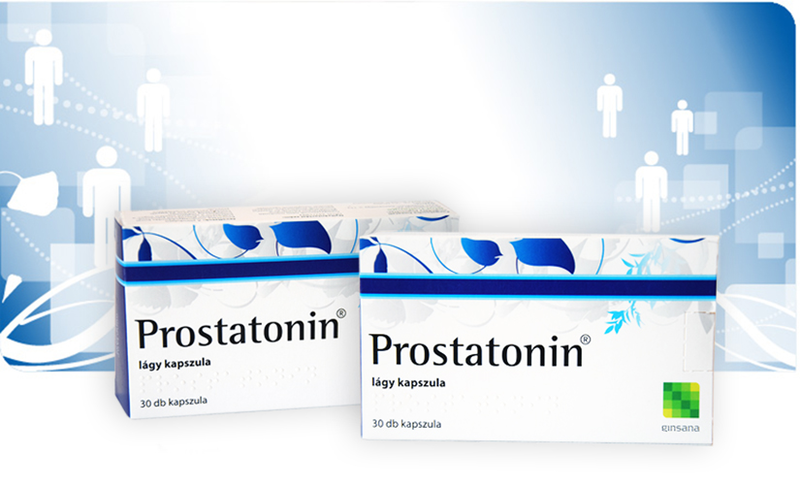 Prostatonin® is a paramedicinal product: having medical effects, authorized by Drug Registration Authority, but it is not qualified as a medical product in Hungary. Excipients: 85% glycerol, crystallising sorbitol syrup, refined rapeseed oil, soy lecithin, solid fat, succinylated gelatin, titanium dioxide (E171), yellow iron oxide (El72), red iron oxide (E172), brown iron oxide E172), anhydrous colloidal silicon dioxide, spray dried glucose syrup. Soft gelatin capsules in boxes or in blister packs of 30 or 60 capsules. 2 capsules a day. The capsules should be taken after a meal, whole (without chewing), with little liquid.